Tucked away in a quiet corner of Cornwall, England is a knifemaker who has consistently redefined what it means for a knife to be overbuilt. By some reckonings, there is more metal in one of his Gladiuses than in a 427 engine block. When asked to supply a bio picture, he provided us with the portrait pictured to the right. 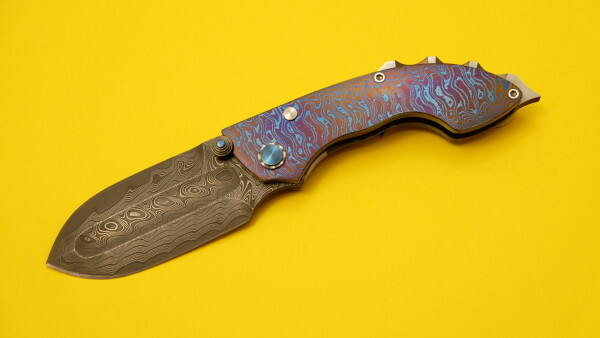 So, while his sanity in doubt, his knifemaking skills are not - his tight tolerances are unsurpassed, and ALL work is done by hand-machining, each piece being a one-off work of superb craftsmanship. 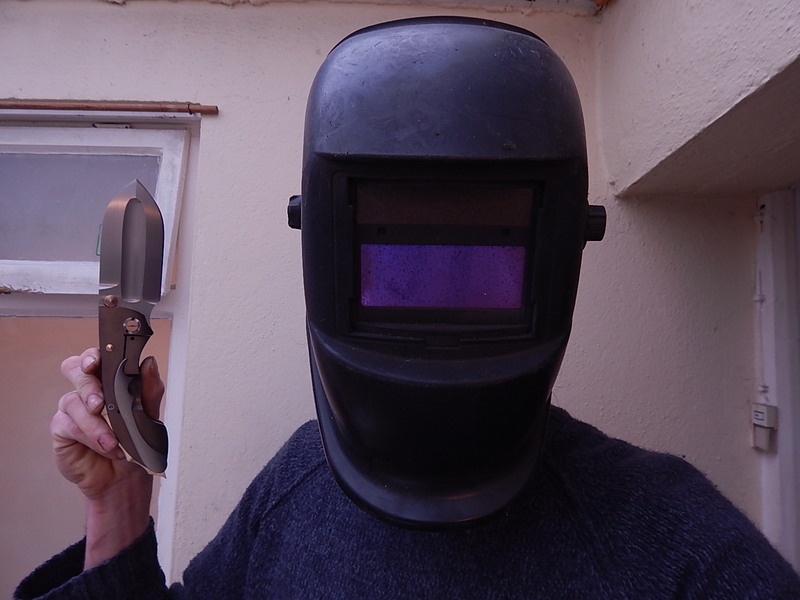 "Little is known of the enigmatic knifemaker Phil Harvey. Born in a mental asylum during the cold war, he sleeps upside down like a bat. Infamous for trampling all over knife-making tradition with his "I was on tramadol at the time so it must be good" designs. Rumour has it he was once bitten by a king cobra, and after six days of agonizing pain, the cobra died. 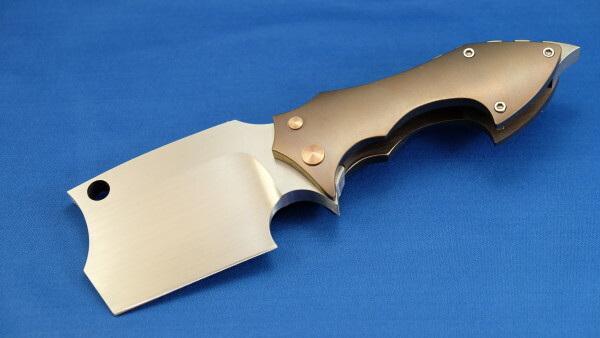 What is known is that if you want a knife no other maker is crazy enough to make you had better get yourself a Phil Harvey blade. Except you can't get one because he insists on making them like it's the Middle Ages. One of God's own prototypes. Some kind of high-powered mutant never even considered for mass production. Too weird to live, and too rare to die." Below, you'll see some example of the models that Phil makes. And when we say "makes", what we really mean is, "spends an inordinate amount of time planning, grinding, measuring and mic'ing, regrinding, not being happy, re-measuring and re-mic'ing the lines and grinds and symmetries, until the knife is 10 times more precise in its fit than anyone on earth would ever notice unless they measure to at least a ten-thousandth." But, that's a good thing! Even if you're going to use yours to mulch an aircraft carrier into scrap metal, it's good to know it's got tight tolerances.